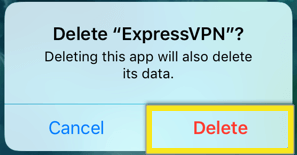 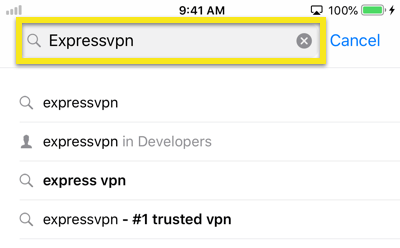 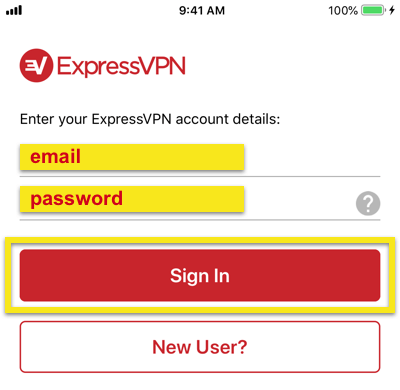 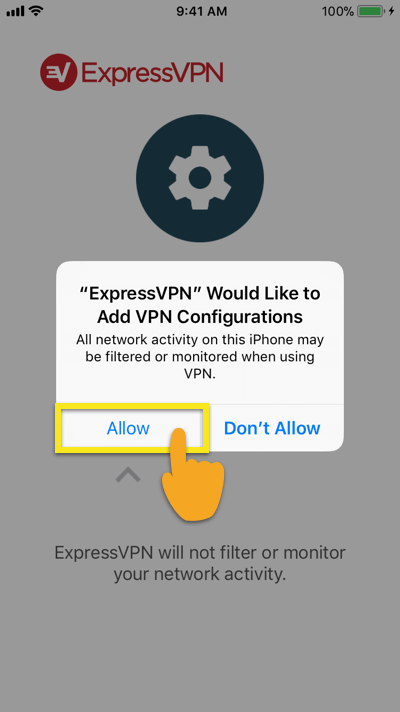 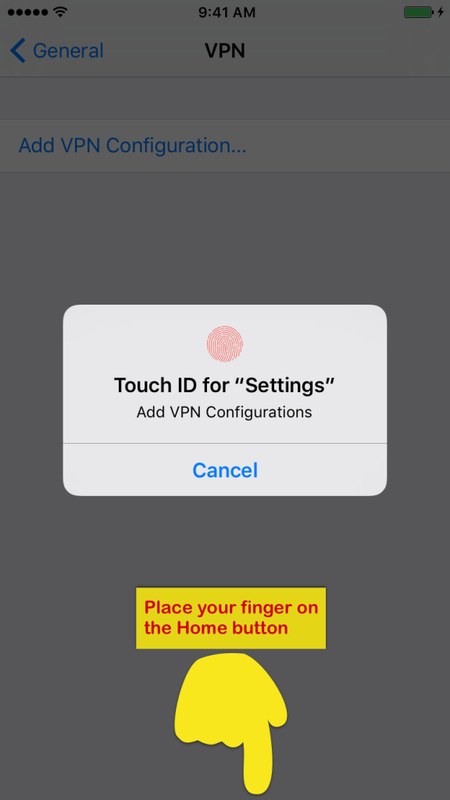 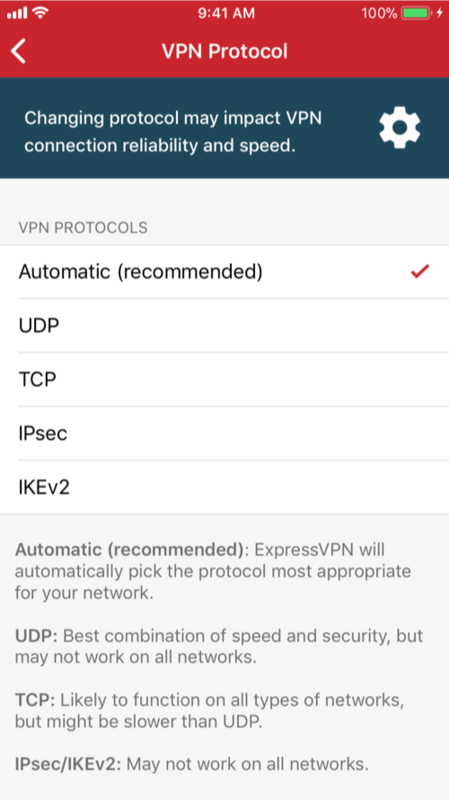 This tutorial guide will walk you through the steps to set up the ExpressVPN app on your iPhone, iPad, or iPod for iOS 9. 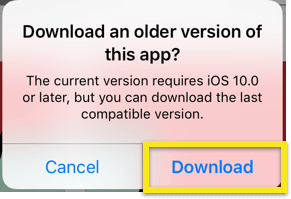 If you’re using iOS 10 and above, please refer to the tutorial for iOS 10 and above. 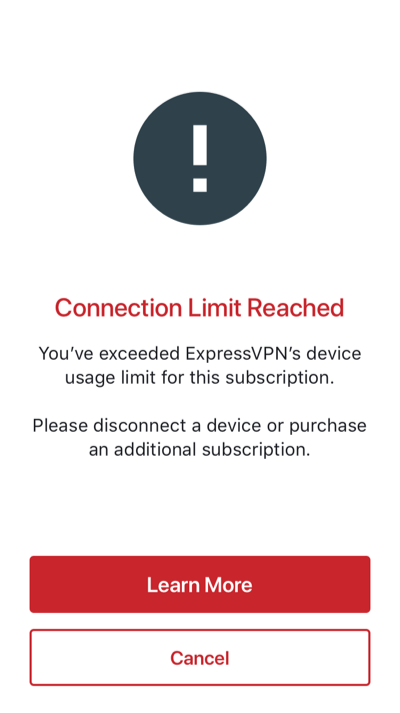 You may see a popup asking you to confirm you want to download an older version of ExpressVPN. 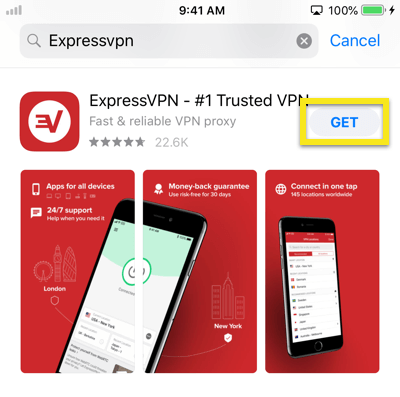 Tap Download to proceed. 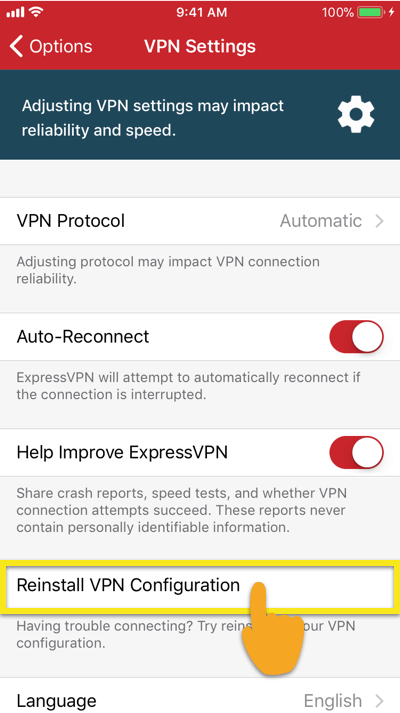 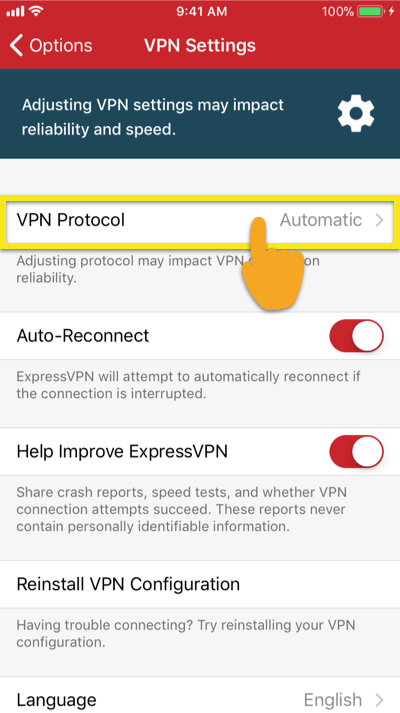 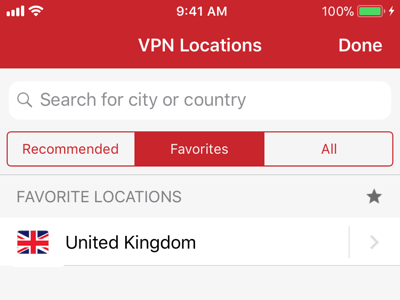 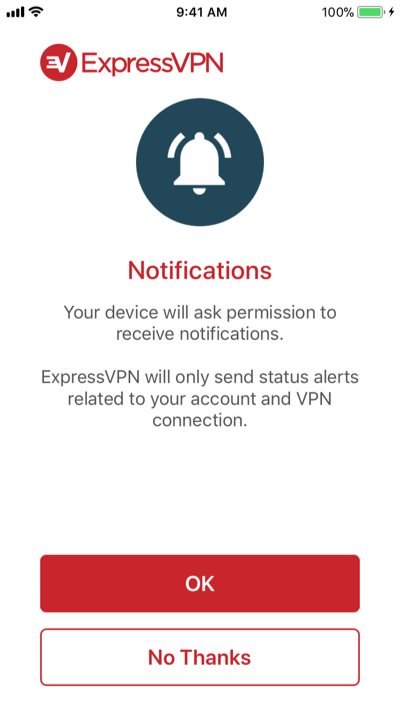 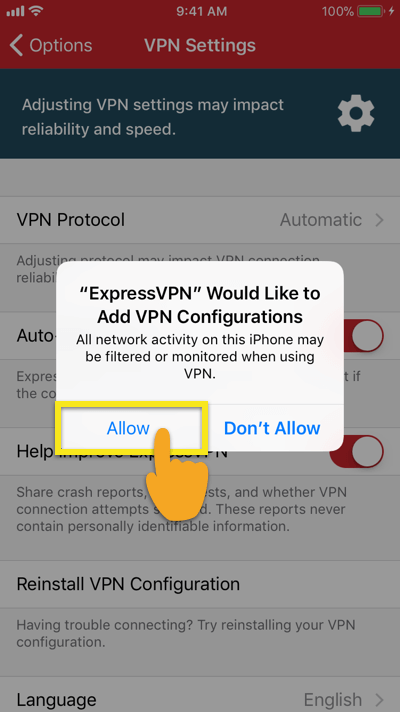 Note: ExpressVPN recommends upgrading to the latest version of iOS and using the latest version of the ExpressVPN app where possible. 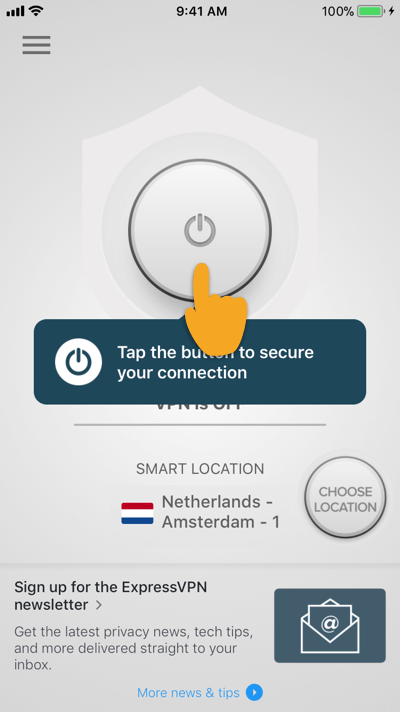 To connect to a different server location, tap on CHOOSE LOCATION to launch the Location Picker. 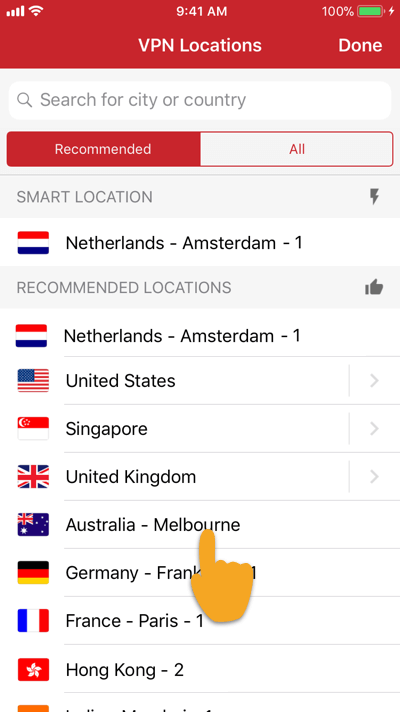 To add a location to your list of favorite locations, swipe to the right. 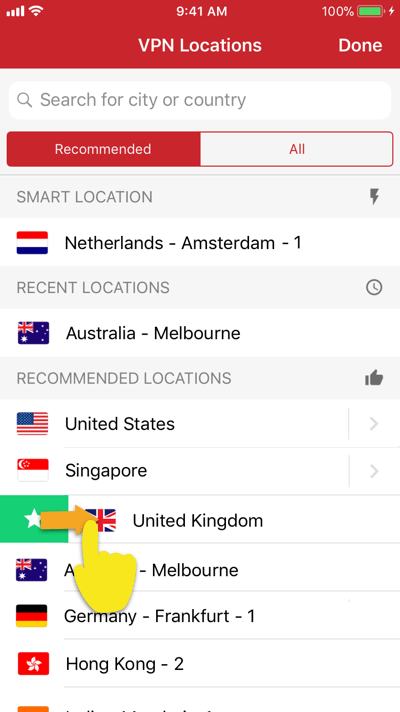 You can access your favorite locations by accessing the FAVORITES tab. 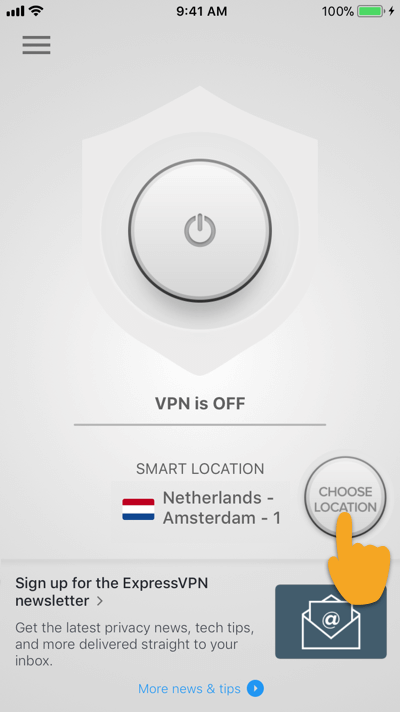 To remove a location from your list of favorites, swipe to the right. 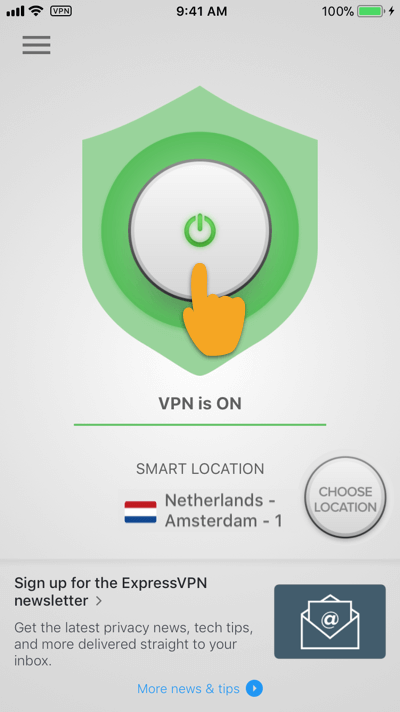 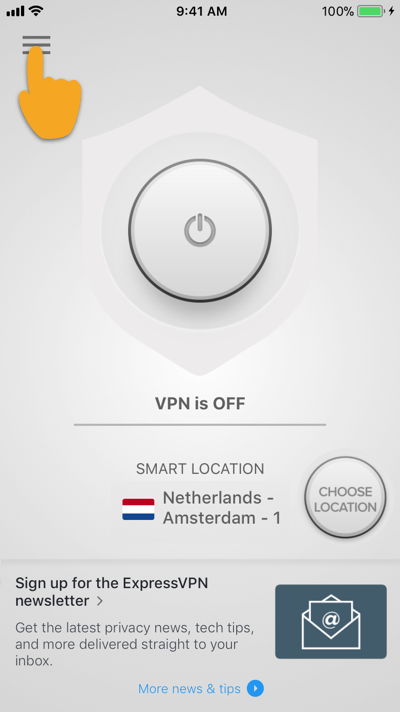 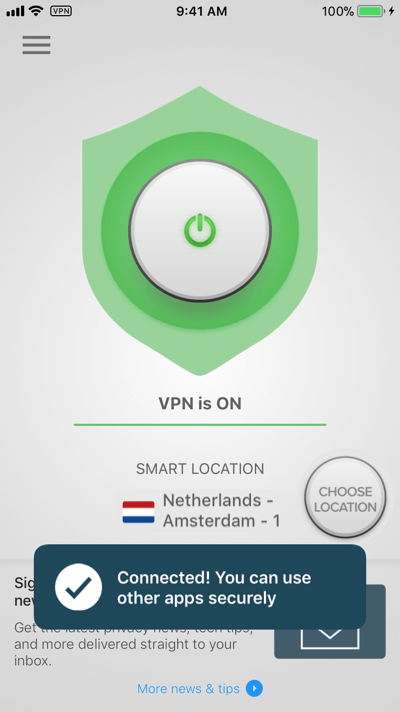 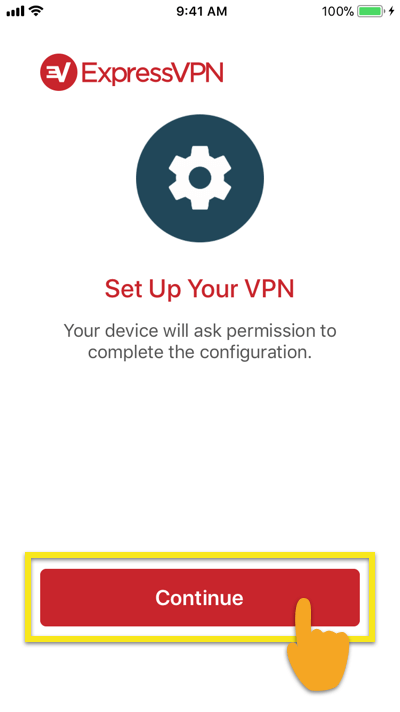 In the Options menu, tap on VPN Settings then on VPN Protocol. 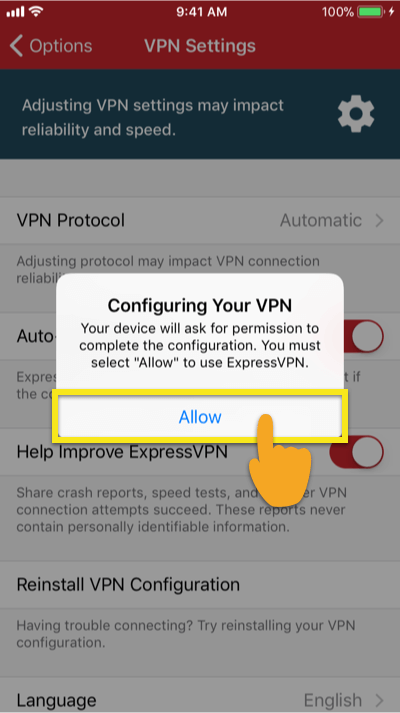 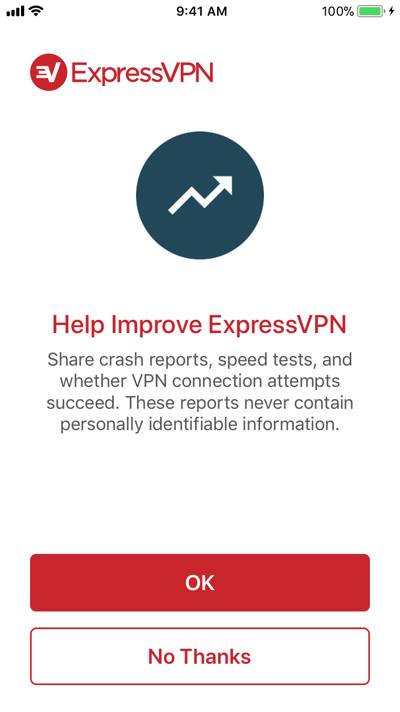 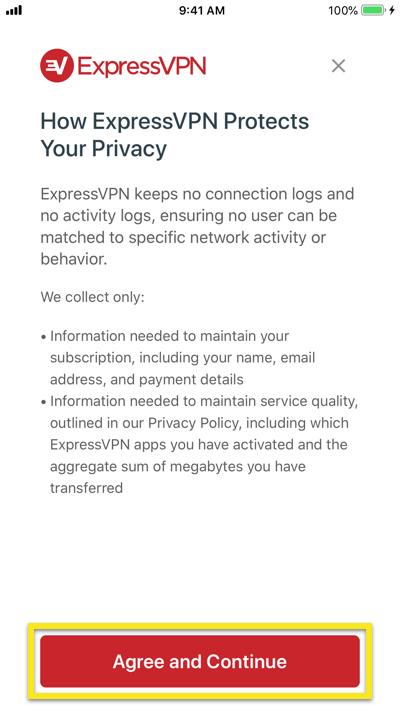 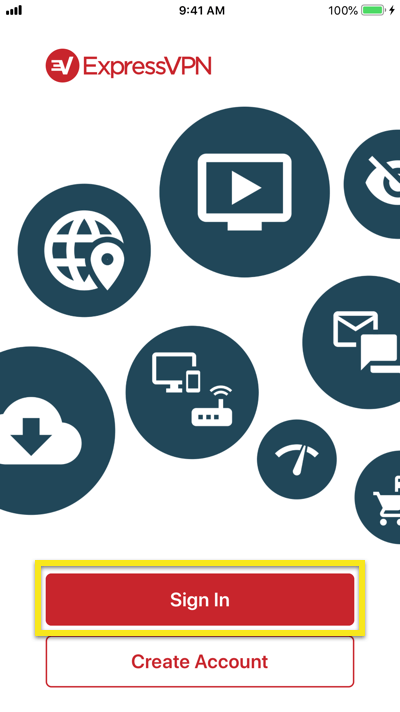 Note: ExpressVPN strongly recommends using the Automatic option.